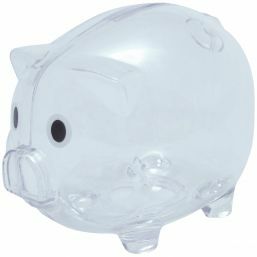 Big plastic money box pig shape. The bottom of this plastic piggy bank has a screw cap at the bottom so money can easily be removed from the money box. Article size: 12,8 x 10 x 10 cm. 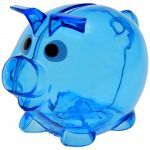 Do you want the products to be printed? 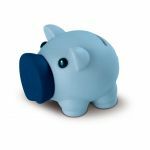 Yesterday we received the printed piggy banks and they look awesome! Communication beforehand was clear and good. Fast delivery makes it complete. Very smooth delivery, 7-7.5 price / quality ratio very good, small minus = there were there whose black eyes were not dry, leaving black fingerprints on the product and plastic bag we sat had ordered and therefore no additional delivery problems . Focus for your manufacturer is not it? Hence assessment 7-7.5. For actions very nice product. I send you a picture of printed copy. 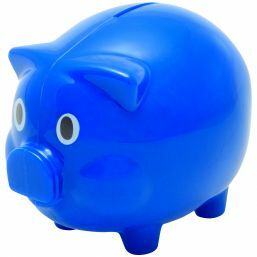 This piggy bank we rate it as good. The handling of the order was successful and fast. 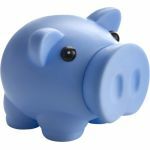 Receive piggy banks in good order, fast delivery. We've done gift to Camp Egyptians, so that they can save for the next take (this is 1x per year organized by us). 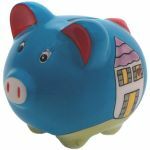 We (tap Zwientje in mud) the piggy banks used for water play. 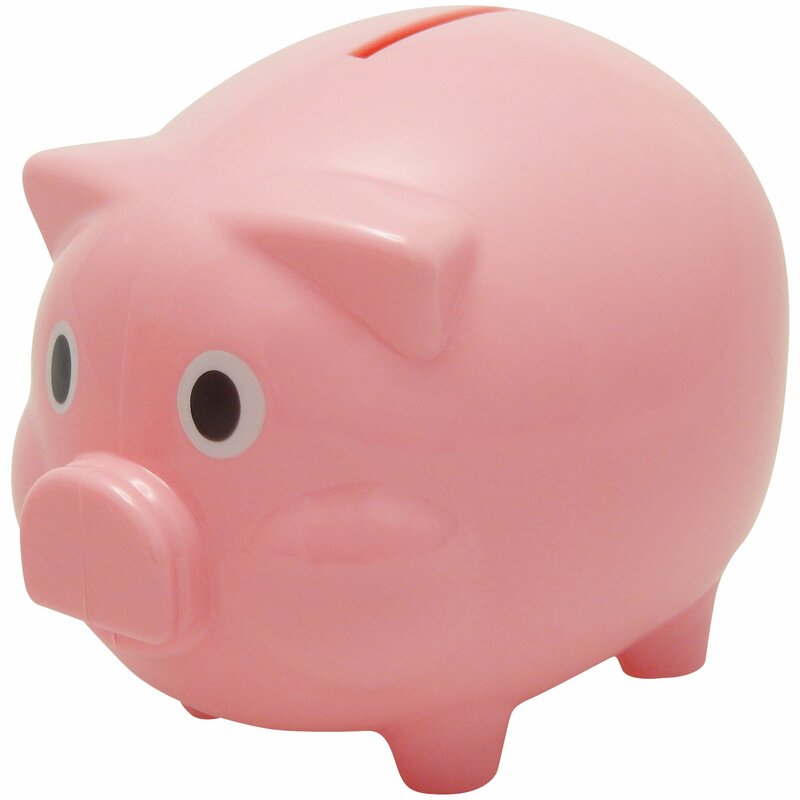 Teams competed against each other in a mud bath and had a team as soon as possible in both hands have a piggy bank. The team that first in both hands had a pig was winner and advanced to the next round. Because they had to stay under the mud we have them filled with sand. For the game, they were fine. Nice gadget which is highly acclaimed by our customers. Looks nice, delivered on time and for a reasonable price. 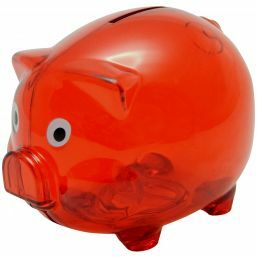 We use them for our customers here printed business coins save for nice gifts. 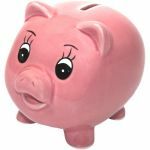 The piggy banks were exactly as expected and described. The printing looks very attractive. The order was delivered on time all in all great !! 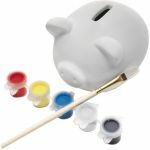 They are great fun and beautiful piggy banks. They are transparent rose so good to see if it is filled. 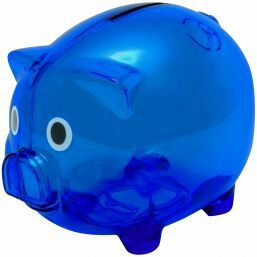 This piggy banks are home to many people to be so filled with little money for our shelter animals. Rabbits and guinea pigs where almost no care for and who often get between two stools. They are easy to open and often reused. Below are cheap promotional products that are similar to the above Piggy bank XL. 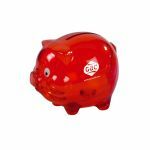 See the section Piggy coin banks for more related promotional gifts. 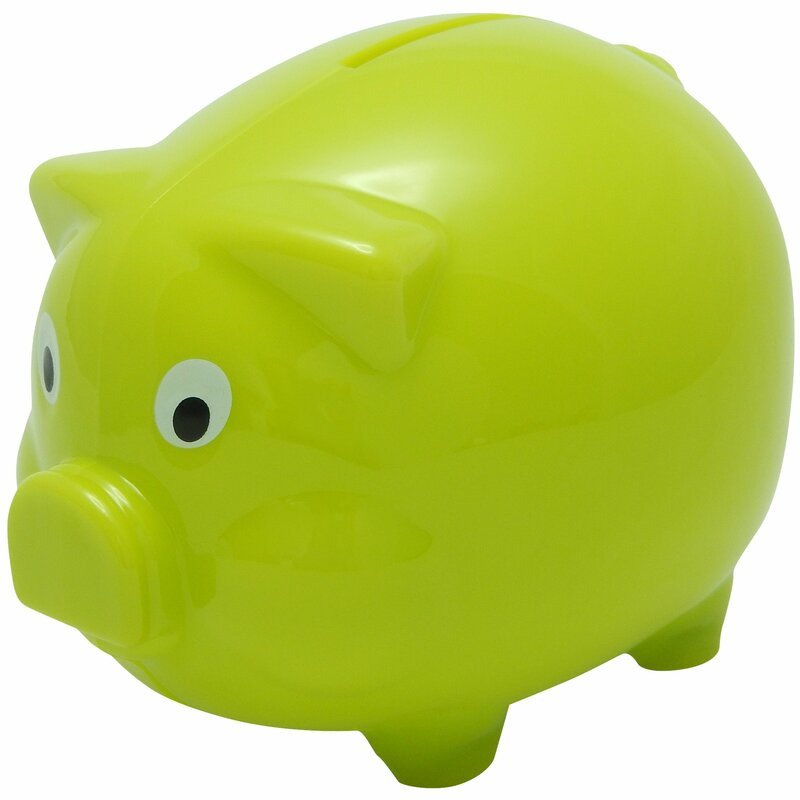 The costs for sending a sample of Piggy bank XL 9850 are € 1,00 + € 7,00 delivery charges (excluding VAT). Visual samples are sent to allow assessment of the products prior to a larger quantity potentially being ordered. Visual samples are only sent to commercial customers, such as businesses, associations and organisations. 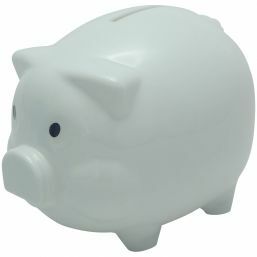 Using the form provided below, you can easily ask our sales team any questions you may have about this Piggy bank XL. It is totally free of obligation. Within approximately one hour, you will receive a response from us (from Monday to Friday). If you prefer to receive an immediate response, please contact us by telephone. 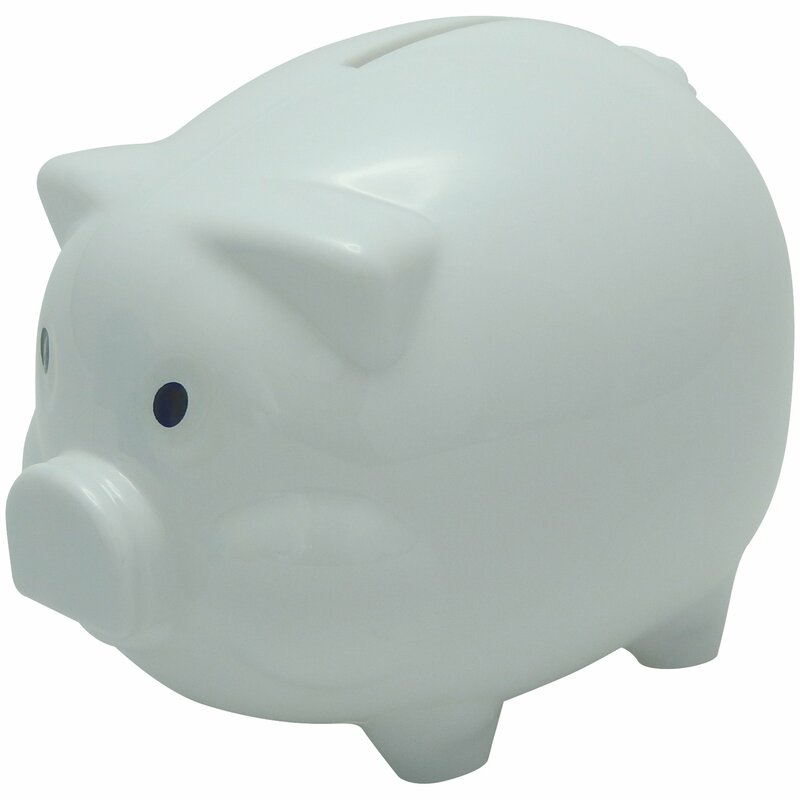 Would you like to receive a quotation for this Piggy bank XL? 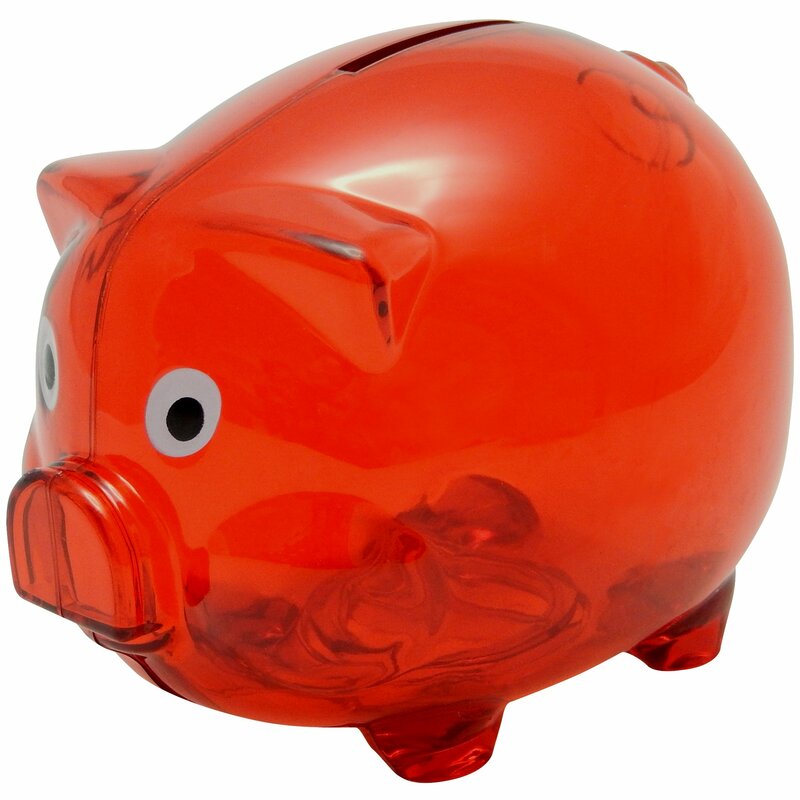 Please inform us of your requirements and you will quickly receive an obligation-free quotation from us. This commits you to nothing! For larger quantities, we can usually quote even better prices.